The ONEcleaner enzyme surgical instrument detergent cleaners deliver: detergents, enzymes, lubricant, and surface cleaners. Four enzymes cleaners and surface cleaning detergents are necessary to achieve consisently superior cleaning outcomes. Surgical instrument cleaning detergents that do not contain these four enzymes cannot remove all forms of proteinaceous bioburden. For the surgical instrument cleaning process to be thorough, four surgical instrument detergent cleaner enzymes are necessary. The specific applications for those enzymes are: lipase enzyme cleaners to remove fat, amylase enzyme cleaners to remove starch, carbohydrase enzyme cleaners to remove high starches, and protease enzyme cleaners to remove blood and encrusted emulsified lipids and proteins. 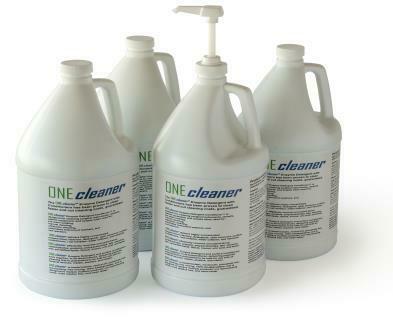 The ONEcleaner surgical instrument cleaning detergents boost cleaning power and clean residue free. The highly concentrated ONEcleaner enzyme surgical instrument cleaning detergent delivers the highest quality reprocessing cleaning outcomes. The ONEcleaner surgical instrument detergent enzyme cleaning solutions cut costs. This surgical instrument enzyme cleaner detergent and washer disinfector detergent has multiple applications: manually cleaning surgical instruments, automated surgical instrument washer disinfectors, surgical instrument ultrasonic cleaners, and surgical instrument pre wash cleaners. The neutral pH surgical instrument cleaning solutions are safe for flexible and rigid scopes, stainless steel surgical instruments, tungsten carbide surgical instruments, aluminum, brass, plastic materials, delicate surgery micro surgical instruments, surgical instrument ultrasonic cleaners, and surgical instrument washers. 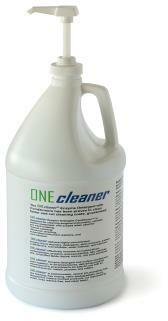 The ONEcleaner surgical instrument lubricant cleaning solutions clean faster.